Ittybittyprettykitty: A conditioner that actually delivers! A conditioner that actually delivers! having used straighteners long boring hair that didnt require conditioner. It was only after I started dying it in my late teens/early twenties that I finally required a conditioning element. So the battle to find a conditioner that did as promised on the bottle but didn't leave me feeling greasy began. Aussie have become my go to for about a year now, with Timotei Pure coming in a close second. 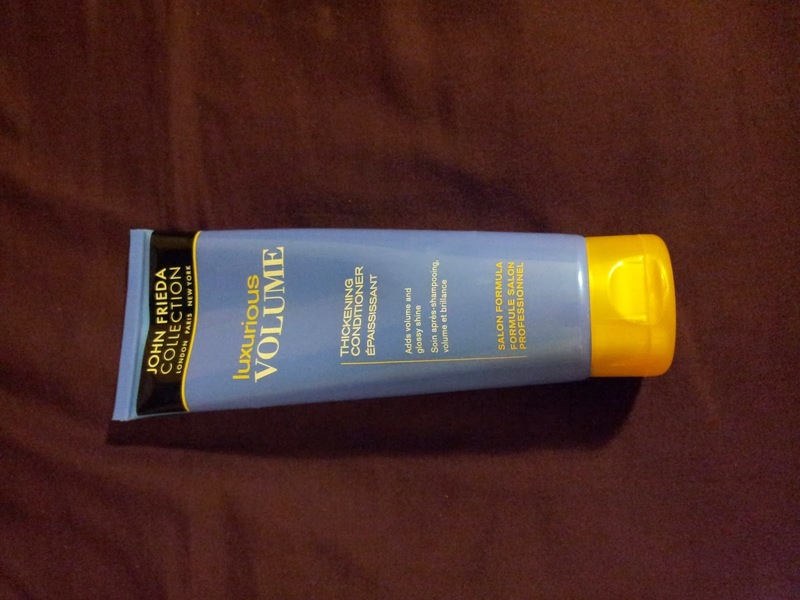 Then on a whim, (mainly because it was on offer...) I gave John Frieda's Luxurious Volume thickening conditioner a whirl. Well colour me impressed. Initially a touch confused as to why it lathered up as I'd never had a conditioner do that with my hair (am I the only one there? ), and dint expect it to remove any tangles with ease, but upon blow drying I was amazed by the amount of bounce and volume my hair had seemingly magically taken on. The added bonus? No greasy thick feeling, and at the end of the day my hair feels still light and bouncy. I've been using it for a couple of weeks now (still the same bottle, a little goes a long way of this stuff), and twice in one week people have commented on the increased thickness of my hair. Repurchasing this again when I run out! Build up so far seems as at a minimum, but I do wash my hair everyday due to oil issues so others may find results vary in that area. I combine this with Aussie Mega Shampoo currently but I may give the matching shampoo a go and see just how big my previous flat iron hair can go! Any other volume boosting tips or brands you can suggest are appreciated and will be experimented with. Maybelline takes on the street. Anime eyes are a go! Miss Manga is a Miss miss.